For dogs up to a maximum weight of 25kg. 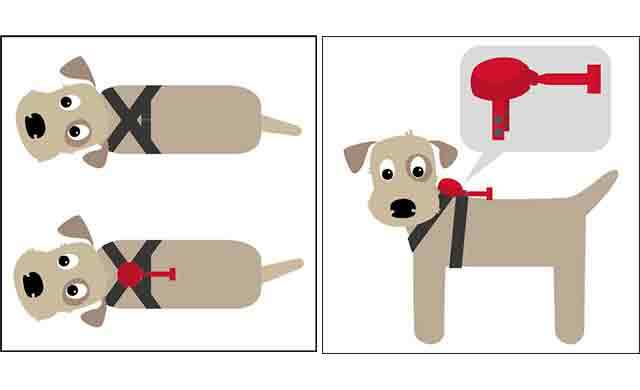 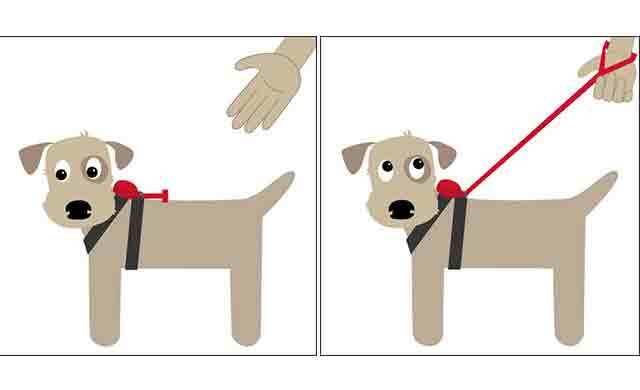 Please note – fits best to harnesses with crossback straps and metal ring see diagram, click on images to enlarge. 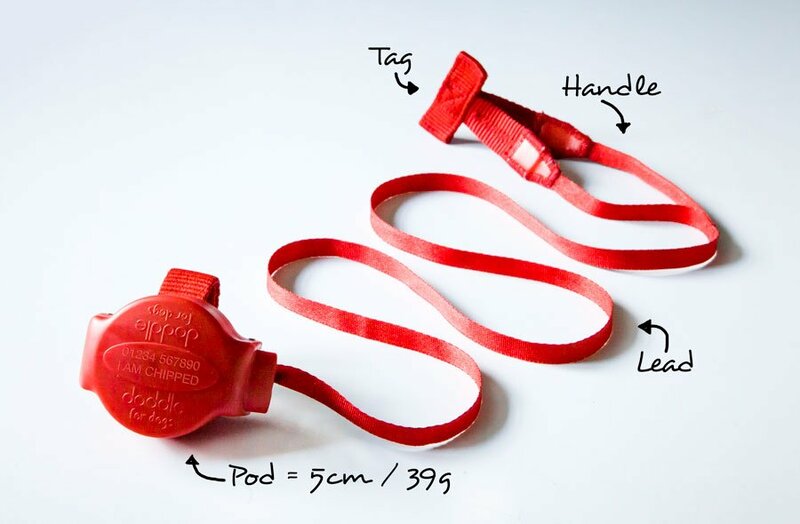 Fits to most harnesses by threading the looped handle through the metal D or O ring of the harness (that is a MINIMUM of 2.25cm (7/8″) and using the strong poppers to attach to the harness. 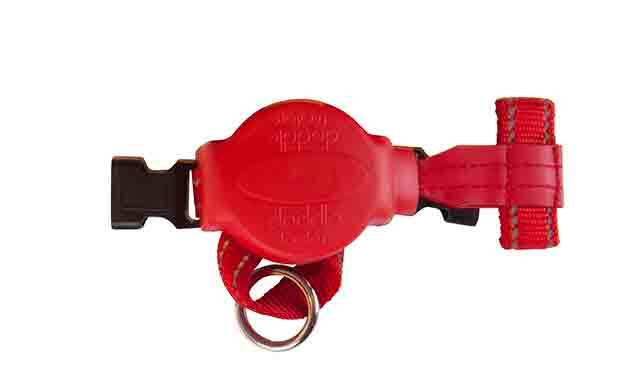 For dogs up to a maximum weight of 25kg strong. 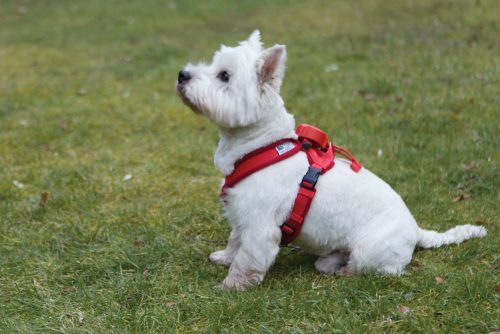 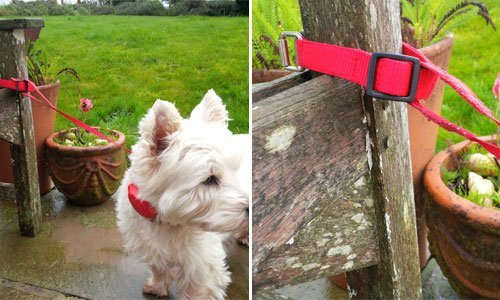 The Doddle comprises a durable plastic pod which contains a reel of high strength nylon webbing which pulls out to a standard (1m) length retractable lead with the looped handle for immediate control.